BRIGHT, SUNNY AND SOUTHERLY CONTEMPORARY RIVERSIDE END TOWNHOUSE ON THE BANKS OF THE SACO RIVER and only a mile to Attitash/Bear Peak. This mostly furnished townhouse features main level living with master bedroom suite and bath with whirlpool tub, living room with cathedral ceiling and fireplace, large screened porch, dining area, eat-in kitchen, half bath with washer and dryer and mudroom. The upper level has a second bedroom suite with bath and a loft overlooking the living/dining areas. This property is beautifully landscaped and includes tennis, too! All one level living with upper level for family and friends. 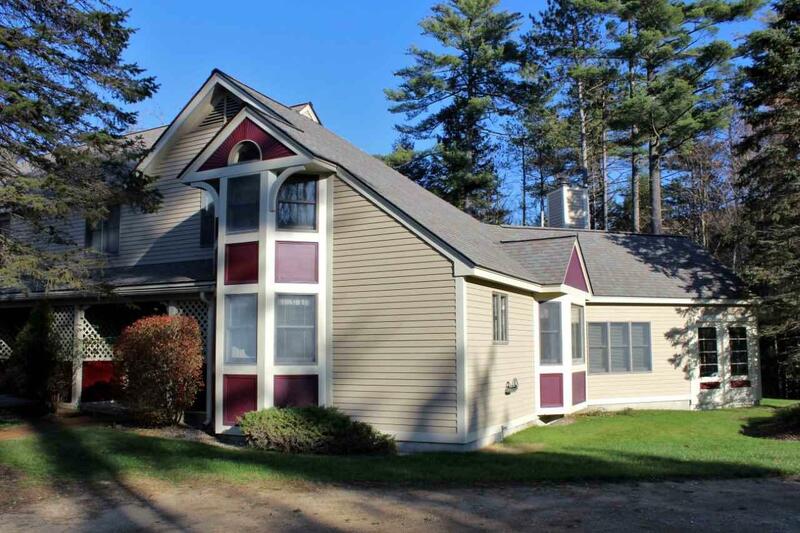 Great location in the low tax area of Bartlett and amidst all the amenities and attractions of the four season White Mountains area of the Mount Washington Valley!